What a cute adorable picture hanging around on the swing! Looks like a lot of fun! I used to do this when I was a kid! This is adorable. 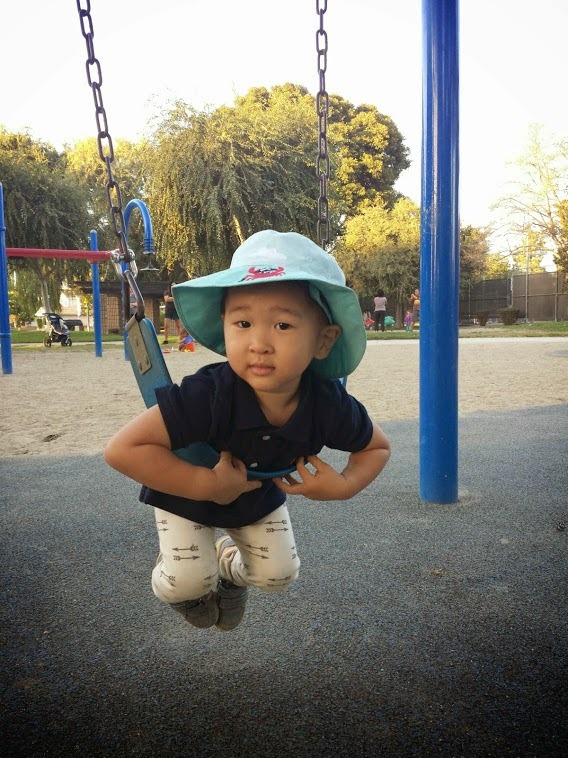 My kids enjoyed going to parks and playing on swings very much. Cute! I love the arrow pants too. Cutie! Love days at the park with the babies. What a cutie! This is the perfect time of year in GA to play at the park!